Many homebrewers know that pH plays an important role at several points during brew day, including: mash enzyme effectiveness, hop utilization, and protein coagulation. Some maybe even know that pH can also be used to test to monitor yeast activity on a clean beer (as I was told when a Pilsner I brewed last winter failed to start fermenting). Probably not as many of us (myself included) pay enough attention to it. I only check mash pH if I am doing something really dark or light (using test strips), but I wasn't motivated to buy a pH meter until I decided it would be fun to test my sour beers. As pH is a measure of acidity (actually the concentration of hydronium ions) it gives a hard number to confirm what our tongues report. Knowing the pH of the beer allows you to track the progress of the acid producing bacteria, or judge when the souring is complete. Keeping track of the acidity can make your results more repeatable, especially if you do not have a sensitive palate. The meter I bought is a Hanna HI 98107 (~$40 on Amazon), which also requires a storage solution and two buffered calibration solutions to use (which doubles the price). The storage solution prevents the probe from degrading (although even with it I'll be lucky to get more than a year out of it apparently). Before measuring the pH of a sample the meter requires two point calibration. First the storage solution must be rinsed off. Then the probe is dipped into a buffered 7.0 (neutral) solution and a small small screw is adjusted on the side of the case to get the display to read 7.0. After rinsing off the probe with water, it is calibrated in a 4.01 pH buffered solution (a 10.01 solution is available for taking readings of solutions above 7 pH) and the second screw is adjusted so it reads 4.0. Once the probe is rinsed a third time it is ready to use. The samples must be uncarbonated to get an accurate reading because dissolved carbon dioxide (aka carbonic acid) lowers the pH reading. pH is also affected by temperature, the warmer the sample the lower the reading. Unless you buy a more expensive meter that has automatic temperature correction you will need to take readings at the same temperature so they are comparable. Like gravity readings you can correct for temperature, but this introduces variance. I decided to try the meter out for the first time during our blending session since I had plenty of uncarbonated room-temperature samples to test. I should have read the instructions more carefully in advance because I didn't realize that before using the meter for the first time it needed to be soaked in the storage solution for two hours to activate the electrode. While it soaked we proceeded with blending, and by the time we came up with our ratios and ate lunch the two hours had passed. The pH of the eight sour beers I tested ranged a full point (as pH is a logarithmic scale the Berliner Lambic was 10 times more acidic than the Big Funky Ale). At the high end of that range beers taste tart, while down at 3.1 they have a bracing acidity. For the most part the readings confirmed what we tasted, but it was surprising to see what the different levels of acidity translated to. The one surprise was that despite both testing 3.7, the Irma tasted much sourer than the Fruit Lambic, maybe the acidity was offset by the higher alcohol? When the testing was finished I rinsed off the probe, put on a few drops of the storage solution and snapped the cover back on. 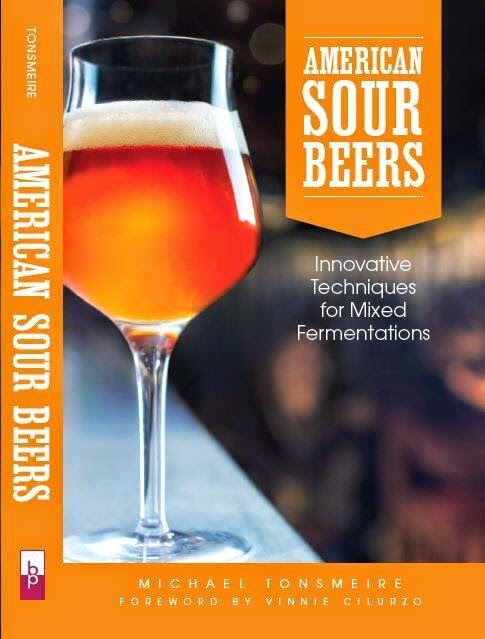 I'm interested to take it out next time I get a few friends together to drink sour beers to see how beers from different breweries (and made with different methods) stack up. A simpler, but less accurate, method is to use pH test strips. The chemical indicator impregnated onto them changes color when submerged in the beer. When the color is stable they are compared to a chart, which is impossible to read with the same degree of accuracy as a digital readout (especially if you happen to be colorblind). The main advantages of the strips are that they are relatively cheap and require no additional care or calibration. I have had good luck with ColorpHast pH test strips for monitoring mash pH, but the standard pH range of 7.0-4.0 sold to homebrewers is not useful for monitoring the souring process, luckily they are also sold in the 4.5-2.5 pH range. These also need to be used on flat room temperature samples for the highest accuracy. However ColorpHast strips have a .2 pH resolution and so may not provide enough accuracy for fine tuning a beer. The character of the acidity is not solely a matter of the pH however. Different acids contribute various characters to the beer. A beer that has a pH of 3.5 from the presence of lactic acid will have a much mellower character than a beer that has the same pH resulting from acetic acid. Other characters in the beer including residual sweetness can balance the acidity as well. A well trained palate is your best tool for determining what the character of a blend should be, but pH measurements are a way to improve your ability to judge acidity (rather than treating it as an abstract number to be targeted). Nice writeup. I'm spoiled by having a high-quality digital pH meter to use when I need to. Any idea what the pH on COnsecration is? I don't have any to check, but I've always wondered. I have a couple bottles of Consecration in the cellar, I'll take a reading the next time I open one. Just a guess, but I'd say ~3.4 (it is sour, but not gripping. If the beers differ in buffer capacity, that might explain different apparent sourness that doesn't directly correlate with straight pH. Doesn't buffering capacity just measure the resistance to pH change? I'm not sure how that would impact the flavor of the beer, thoughts? Do you still have your vinegar around? I would be curious to know the pH of that. I have homemade red wine vinegar and apple cider vinegar (both undiluted) and the red wine vinegar is just incredibly puckering. As Mike said in the article, the acetic acid, in vinegar, is a lot more puckering than the blend of lactic, and to a lesser degree, acetic acid that is found in most sour beers.